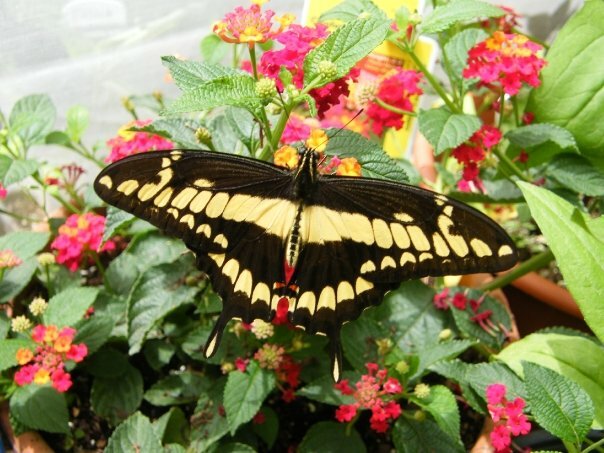 Butterfly gardening has grown in appeal and seems to get more popular with each passing year. 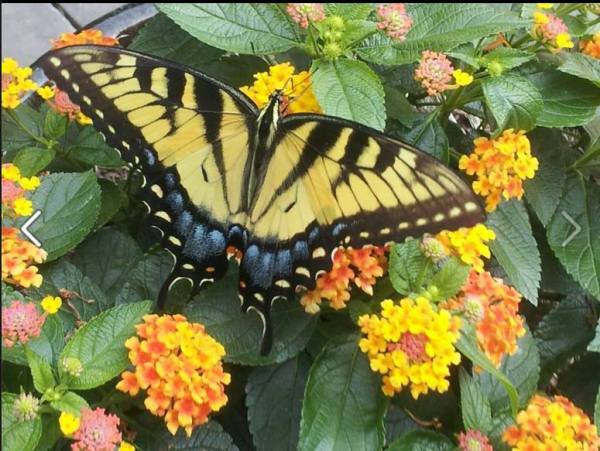 There is a double payoff with butterfly gardening as well; not only can you brag about your amazing flowers but you can also show off all of the even more amazing butterflies that you attract to your yard. What most people don’t realize though is that butterfly gardening, to do it correctly, is a two-part system. First you need to attract butterflies to your yard. Second, you have to keep them there. It is this second part that many people fail with. 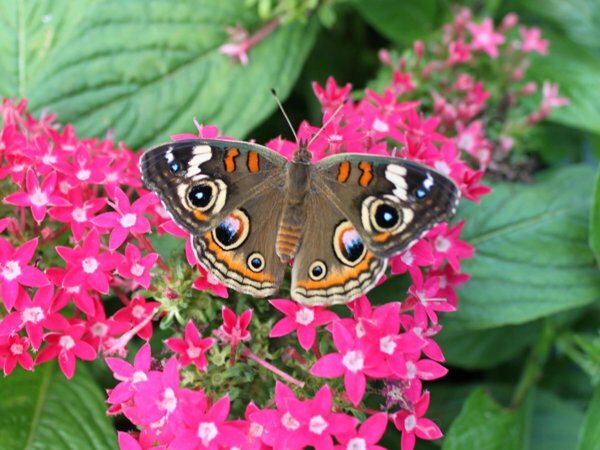 So welcome to part one of my two-part series on successful butterfly gardening. Part one focuses on attracting butterflies to your yard and part two will focus on keeping them there. Since I live on the East Coast of the United States, a lot of what I present to you is designed for this climate but that doesn’t mean that you cannot use these guidelines for your own butterfly gardens. 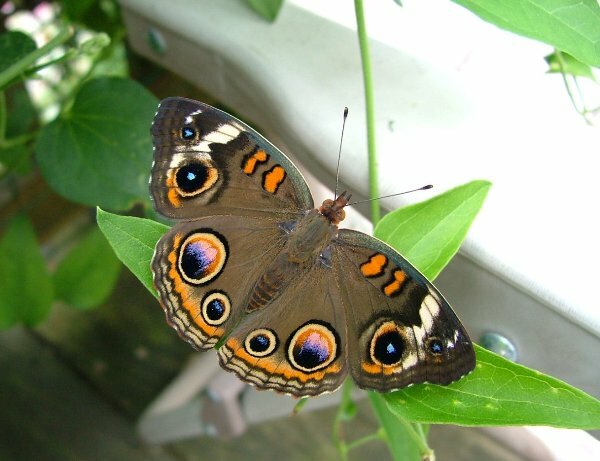 What is nice about butterfly gardening is, unless you decide to go with only native plants, a lot of the nectar plants (flowers that attract butterflies that they drink from) and host plants (plants that the butterflies lay their eggs on and the resulting caterpillars eat) can be used everywhere. The only difference is that certain flowers on the East Coast will be considered annuals because of the cold winters but in the southern, warmer climates they can be grown year round. What is also nice is that you don’t need big areas for butterfly gardening so small gardens and even container gardens can work just as well. The adage that if you build it, they will come, is true when it comes to butterfly gardens. There are just some easy rules of thumb you need to follow first. First off, you have to remember that butterflies do not see color like we do; they see colors on a whole different light spectrum and they are only drawn to certain colors (which is why butterflies will go to certain flowers and not others). Butterflies love the colors red, orange, yellow, purple, pink and white and the higher the concentration of one color you have in a particular area, the better chances you will have of attracting butterflies. So in other words, you will attract more butterflies to a particular area by having six plants of the same color than by having six plants, one each representing the six colors that butterflies love. When you have a higher concentration of a single color, butterflies can see it, and are drawn to it, from a further distance away. 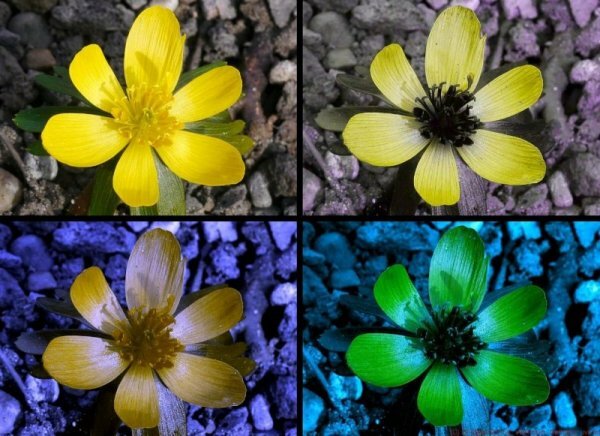 How butterflies see color: Winter Aconite (Eranthis hyemalis) in: human vision, ultraviolet vision, butterfly vision and bee vision (simulated; left to right, top to bottom). The second thing to remember is that butterflies love sunlight. That is why on overcast or rainy days, you rarely see them flying around. Butterflies need the warmth of the sun to warm the blood in their wings, allowing them to fly. Oftentimes, before butterflies start flying for the day, they can be seen resting with their wings flat-out, absorbing the warmth of the sun. Because they love sun you need to have your butterfly garden in full sun, or with as much sunlight as possible. You must also keep this in mind when choosing your plants. Some plants prefer partial to full shade so in many cases they are not good choices for a butterfly garden. You should also remember that full sun means more watering since the ground will dry out much faster. Thankfully many butterfly attracting flowers are drought resistant so they can withstand periods of no watering. The list I am about to present to you are, in my opinion, the best butterfly attracting flowers that you can use for your garden. Most require full sun (though can withstand periods of shade quite nicely) and are very easy to keep. In the case of perennials they do come back every year and in many cases will not only produce new plants thanks to their expanding root system but they may also re-seed your garden as well. In the case of annuals, some will re-seed your garden, but in most cases they will have to be replaced yearly. 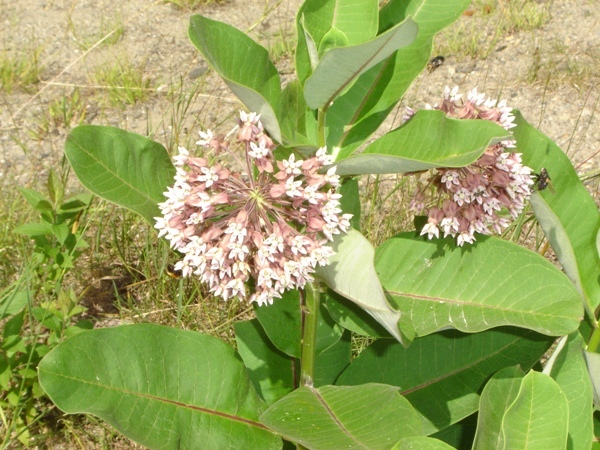 Asclepias syriaca, the most commonly found species of wild milkweed. 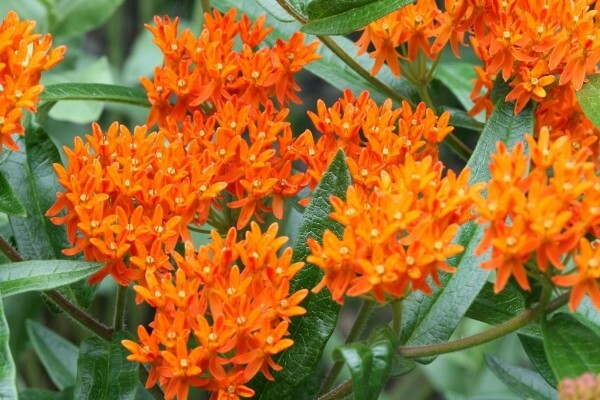 Milkweed, sometimes known as butterfly weed, is a great way to start. There are over 140 species of milkweed and they all make great additions to any butterfly garden. Keep in mind though that some species are tropical and will completely die out if your area is subject to cold winters. Not only do the flowers of milkweed attract butterflies, but it is also the host plant of the monarch butterfly (Danaus plexippus). When a plant can serve two purposes it is even more desirable. Milkweed used to be a very common plant in the wild but thanks to roadsides being regularly cut back and open fields being developed for housing, this important plant is becoming more difficult to find. 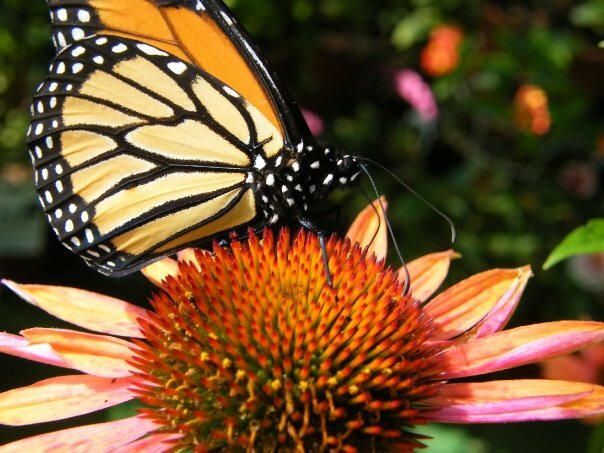 As a result, monarch butterflies are greatly suffering. 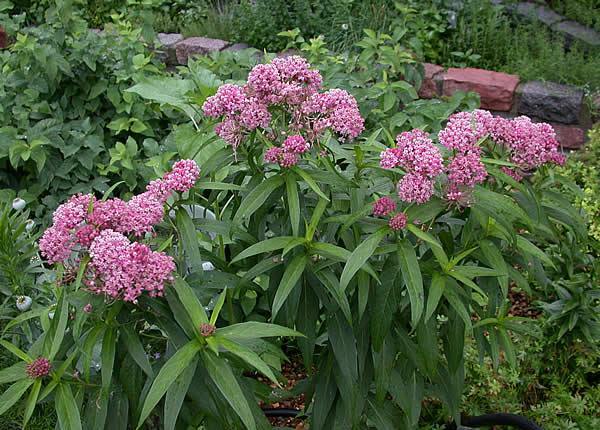 Asclepias incarnata, a narrow leaf milkweed with beautiful pink flowers. Milkweed is very easy to grow from seed and most stores offer some variety for sale each spring. These plants grow fast and will readily re-seed areas each season, making them a great addition to your butterfly garden. In some species the root systems spread out as well, allowing new plants to develop off of these roots. When buying seeds, whether it be locally or online, always check to see if they are perennials where you are. If not you will have to replace them each year by collecting the seed pods that develop and then re-planting the following spring. Asclepias tuberosa, a shorter but brilliantly colored milkweed species. 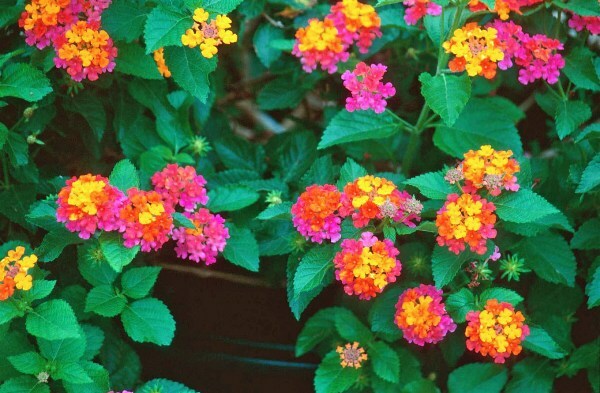 Lantana, though an annual here, is a great butterfly attracting flower. They grow fast and do equally well planted in the ground or in pots. In southern areas of the country, where this plant can grow all year, they will actually grow into small shrubs. They come in a wide variety of colors (over 150 species) and they all seem to attract butterflies equally as well. These plants do great in hanging pots and if you put multiple hangers around a deck or porch, you will definitely attract butterflies close to your house! Dead heading is a must with these plants. If you don’t, flower production slows way down as all of the plant’s energy is used for seed production. 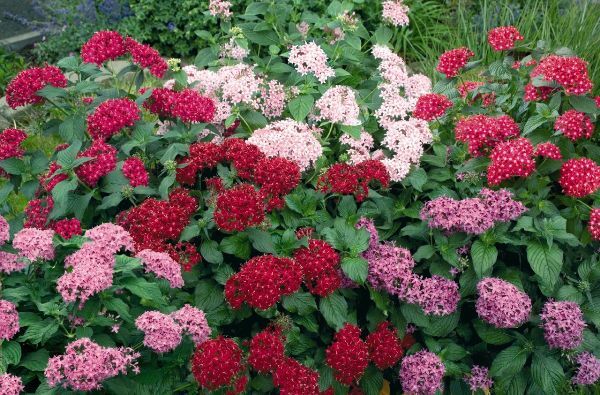 Pentas, like lantanas, are another great addition to your butterfly garden that unfortunately, are annuals in this area. They come in a wide variety of butterfly attracting colors and do equally well planted in the ground or in container gardens. They are fast growing and if given the time and space, can get quite large and bushy. Dead heading is important with this plant as well, to ensure a longer blooming season. 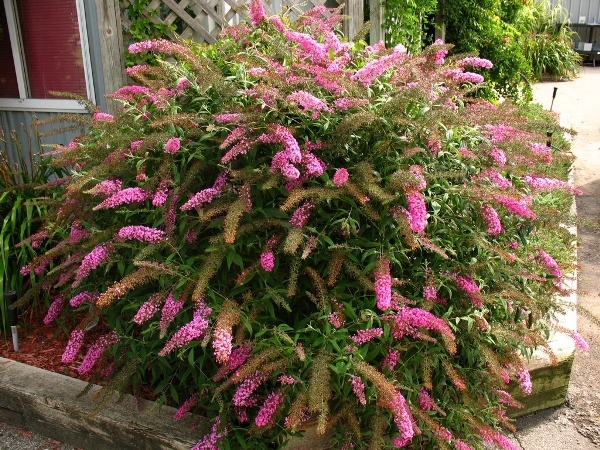 Butterfly bushes, aka Buddleia, are definitely a must have in every butterfly garden. The only problem is that they do get very large and if you have minimum space, you may not want to get one. I have had them grow to over 12 feet tall with a good 8 foot spread. They come in a wide variety of colors, all of which attract butterflies to some degree. I have found that some colors work better than others and in my experience, pink and white seem to consistently work the best. Dead heading, though not a must, should be done on a regular basis if you want to lengthen the blooming season. The flower cones will turn to seed if not dead headed, taking the plant’s energy away from producing flowers. If you get into the habit of removing the dead flower cones, you could potentially have flowers right up until the first frost! 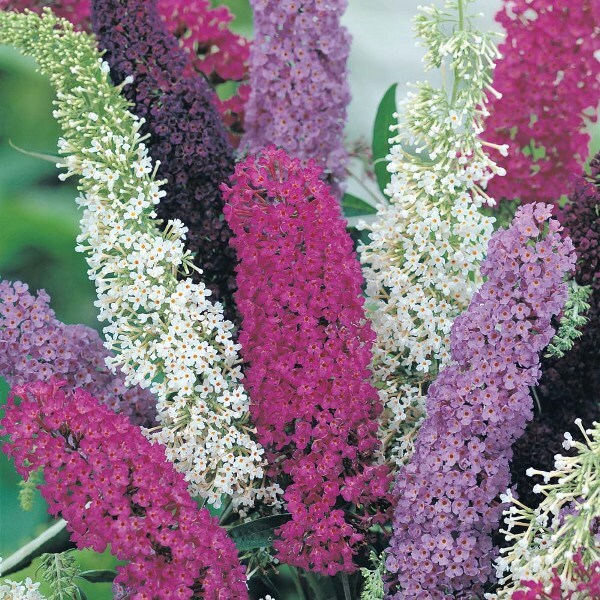 If you have limited space you may also try potting butterfly bush. This will prevent the plant from getting too big and it will be much more manageable. In the fall these bushes should be totally cut back, down to about 2 to 3 feet tall. This does two things. It promotes new healthy growth in the spring and it prevents potential storm damage in the winter. Branches with old flower cones on them become quite heavy, especially with snow on them, and they break quite easily. Also, these bushes tend to have a shallow root system so if they become top-heavy, it is common for them to become uprooted and fall over. Though they may seem like a lot of work they are definitely worth the payoff. There have been times where I have literally had dozens of butterflies on a single bush. 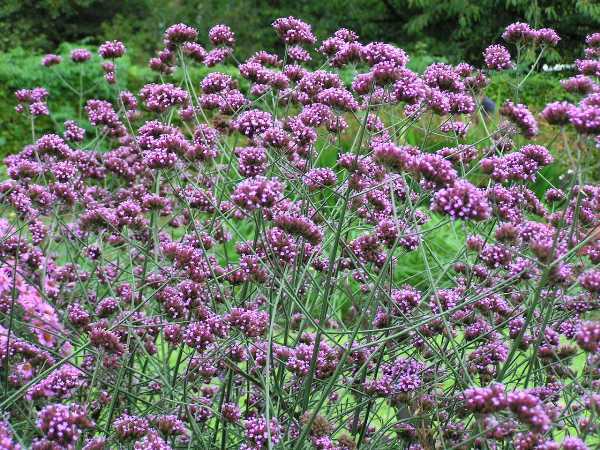 Verbena bonariensis is a great addition to any butterfly garden and works equally well planted in the ground or in pots. I have never found these plants at Home Depot or Lowes but they can usually be found at local nurseries. They do get very tall, sometimes over six feet, and should be planted in groups of 3 or more. Though they are tall they tend to be thin and not very bushy. Dead heading is not necessary and most flower heads stay in bloom for quite some time. Though they are an annual, I have had good luck with plants surviving the cold winters when mulched really well in the fall. This plant will readily re-seed as well so you are guaranteed to have new plants the following spring. In addition to this being a great butterfly attractor, the larvae of the buckeye (Junonia coenia) will readily feed on Verbena bonariensis. There are a wide variety of coneflowers available and they are all equally reliable in attracting butterflies. The most common varieties are either white or purple, though new varieties seem to be becoming available each year in new and exciting colors. These perennials not only come back year after year but they also re-seed very nicely. Each individual flower head can produce over a hundred seeds which are also easy to collect for planting the following spring. These plants, within a few years, can fill up an entire section of your garden very thickly. 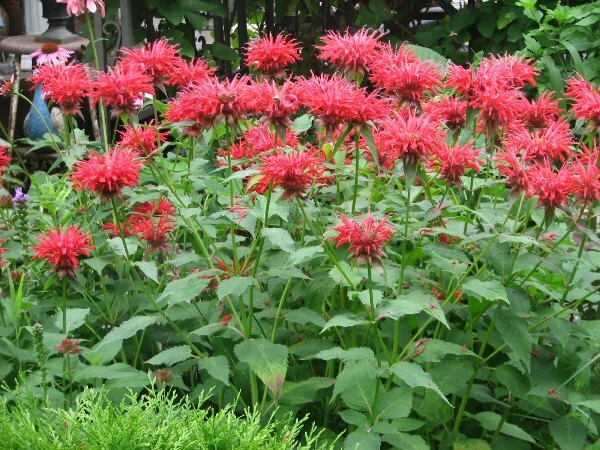 Bee balm is another great addition to any butterfly garden. 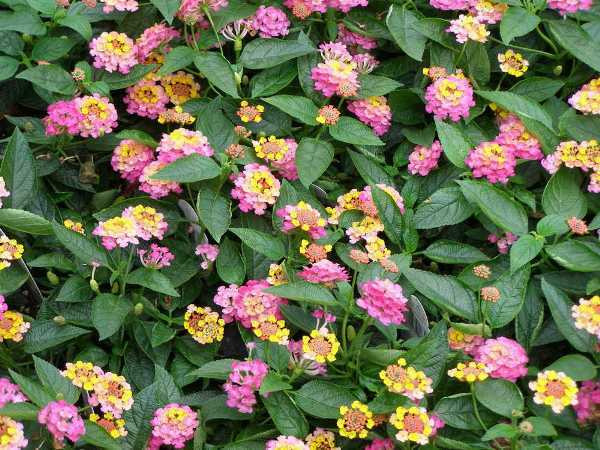 It comes in a variety of colors and is very winter and drought hardy. It also will take over an area in a relatively short period of time. If you have an area of your yard that you would like to fill with thick beautiful flowers then bee balm may be the choice for you. The flowers themselves are very unique looking and these plants do great in partial shade to full sun! 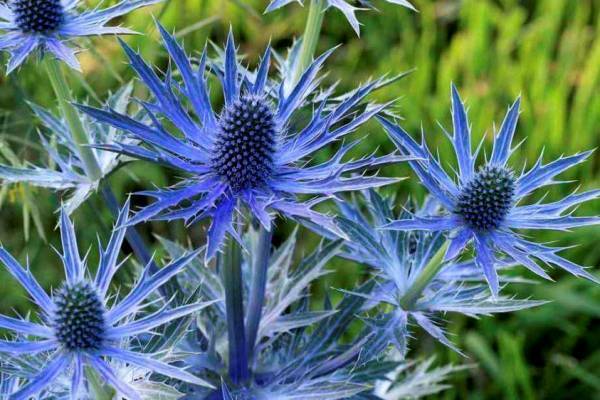 Sea holly is an interesting plant that is a great perennial. It will also reseed itself and should be planted in groups of three of more. I usually use tomato towers to help support the plants as the weight of the flowers will sometimes force the plant to bend over, especially in high winds or pouring rain. Be careful with these plants though as they are very spiky and sharp! The entire plant becomes an amazing electric blue when in full bloom! 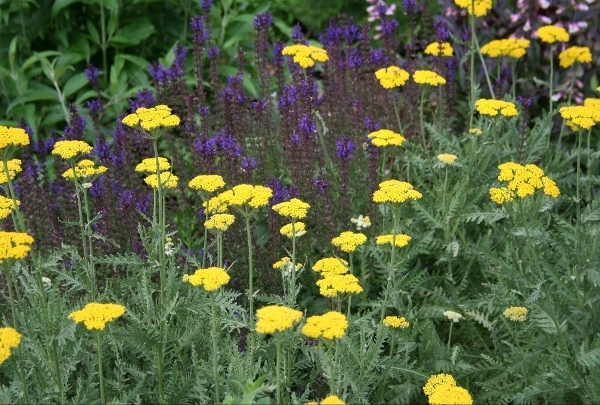 Yarrow is a great plant for a couple of reasons. 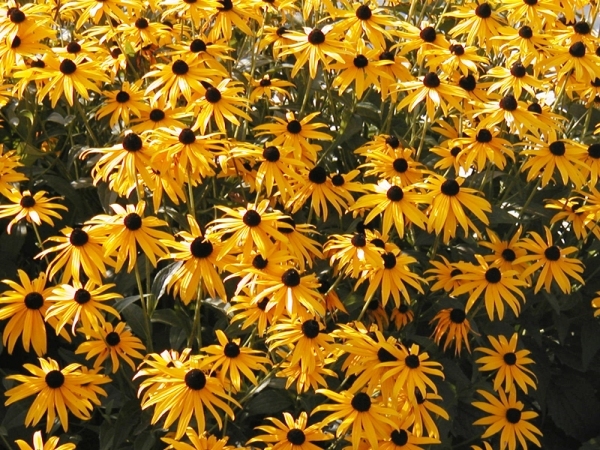 It is a great perennial that reseeds regularly and the yellow variety keeps ants away! 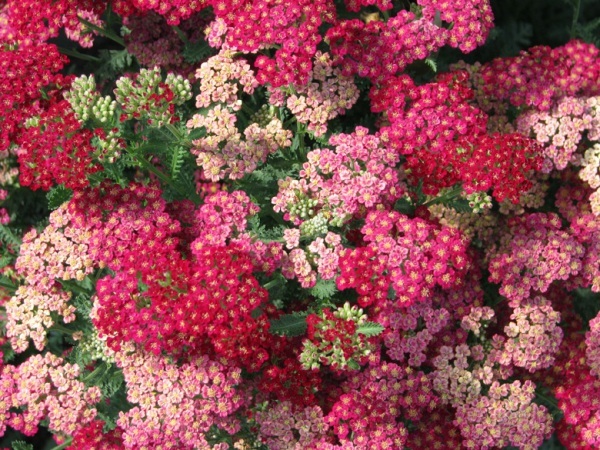 Yarrow comes in a variety of colors and should be dead headed regularly to promote new flower growth. I have also found that painted lady (Vanessa cardui) caterpillars will eat the leaves. 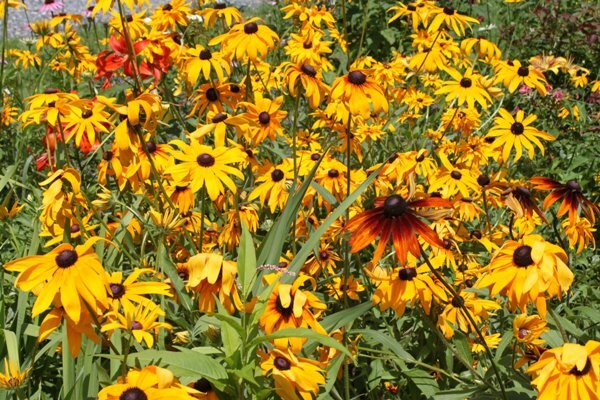 Black-eyed susans are another great addition to any butterfly garden. 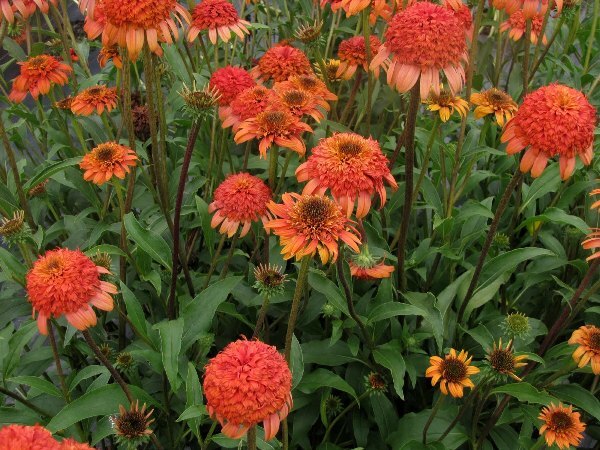 It is a great perennial that not only comes back each year but also re-seeds nicely. 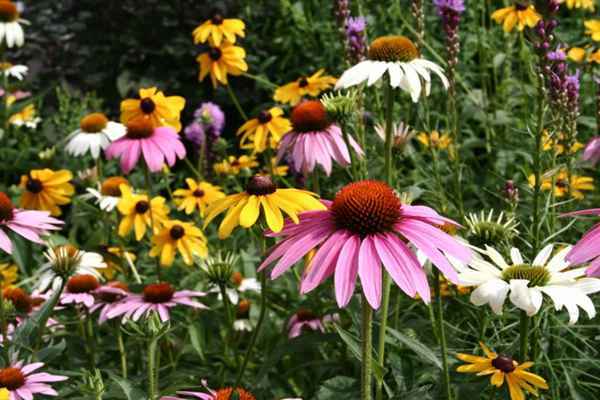 Planting these with purple coneflowers are a great combination since yellow and purple are great complimentary colors. 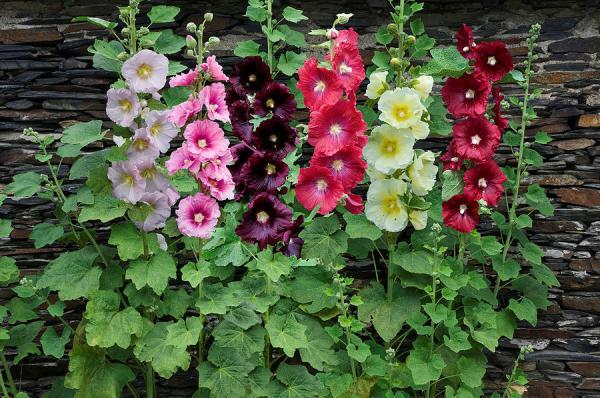 Hollyhocks come in a wide variety of colors and styles and are readily available each spring in tuber form. They grow quite tall and should be planted along a fence or wall to help support them in high winds or driving rains. These will re-seed themselves and painted lady caterpillars readily eat the leaves. 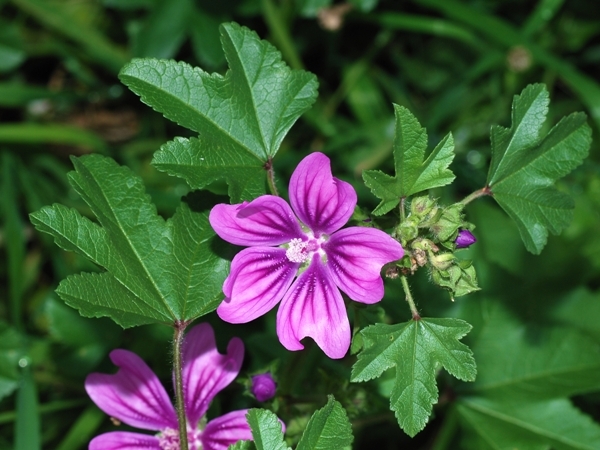 Mallows come in a variety of butterfly-attracting flowers and are very hardy. The have a long bloom time, from June to September. Painted lady butterfly caterpillars also eat the leaves. 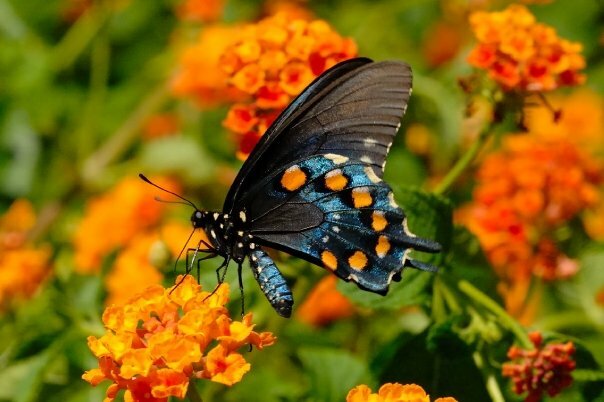 This entry was posted in Butterfly Gardening and tagged asclepias, buddleia, butterfly bush, butterfly gardening, lantana, milkweed, penta, pentas. Bookmark the permalink. Hi Dave, We recently bought a farm on Jamestown and are trying to figure out when the monarchs hatch here. Have been holding off on haying the fields. Can you give up some clarity? Thanks! PS I’m definitely planting Dutchman’s pipe after visiting your blog! Hi Abby! The monarchs, from what I have seen, have not arrived here yet from their migration from down south. I am hoping that it is soon. These past few years we have had very little monarchs present so you not cutting down the milkweed is so great! I will be adding more plant species to this blog soon and am working on the part two, which will feature more types of caterpillar foodplants! Thanks for visiting and good luck!